It's Peak Goldwyn Rhapsody EX-97-UK, the one that is a truly legend herself! 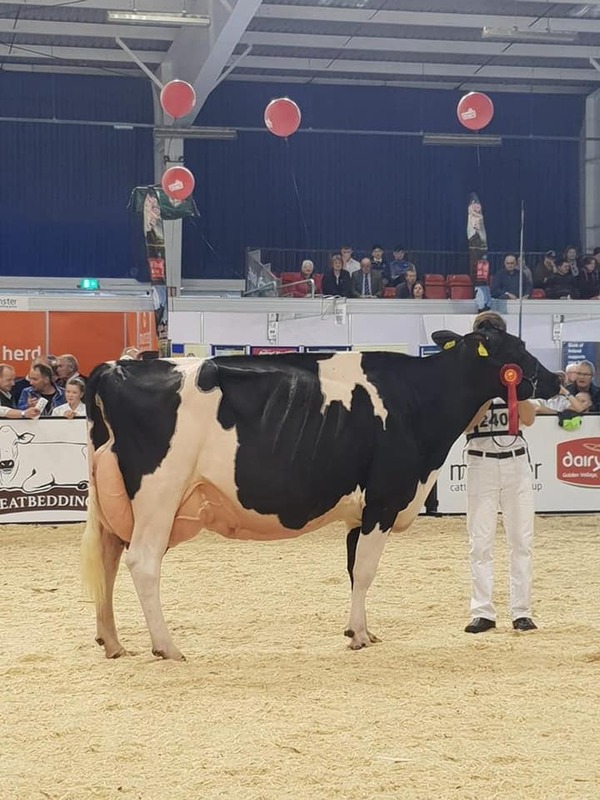 Rhapsody won multiples shows in the UK, for example: 3x Grand Champion UK Dairy Expo & recently Honorable Mention Grand at the UK Dairy Day '18. 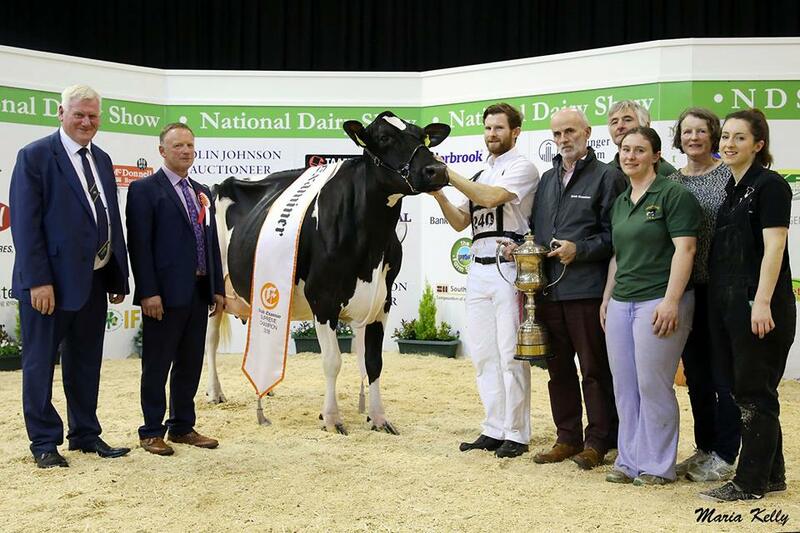 At the Irish National show her Dusk daughter became Grand Champion: Milliedale Dusk Rhapsody EX-95-IE! This Dusk daugther of Rhapsody is making her victory list bigger with this year winning the Charleville Show and Irish National Show!! Already her legacy contiues with her exciting Commander daughter who was Intermediate Champion at the Great Yorkshire Show! 3 generations winning Rhapsody's in a row!